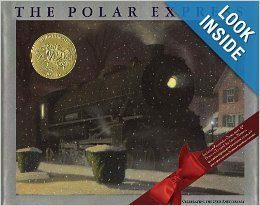 Head over to Amazon and get The Polar Express in Hardcover for only $9.45 (reg. $18.95). Super Saver Shipping will be FREE with an order of $35 or more or get FREE 2-day shipping with Amazon Prime. For twenty years, The Polar Express has been a worldwide bestseller and Christmas classic. A perfect keepsake for any family, this beautiful edition can be handed down to each new generation of readers.